Lisette is taking a gap year (well, a gap couple of months) and at the request of her mother has decided to spend this time in Paris to help perfect her knowledge of the French language and to experience all the beautiful art the city has to offer. While there, Lisette is staying in a very small apartment owned by her mother’s clairvoyant friend who has taken it upon herself to enrol Lisette in French lessons with a bunch of other international students. Lisette reluctantly attends, however it is through these French lessons that she starts to experience a completely different side to her trip than she had planned. There is nothing more romantic than falling in love on the other side of the world; however, the inevitable problem is that there is an end date hanging over the relationship. As Lisette starts to experience the world, and the boys that come with it, she starts to think about her own family; the absent father and the mother who was left, heartbroken, to raise a child all by herself. But, as with life in general, nothing is what is seems and Lisette must start to live her life in her own way. Catherine Bateson has written a fun romance full of fashion, travel and, of course, love. 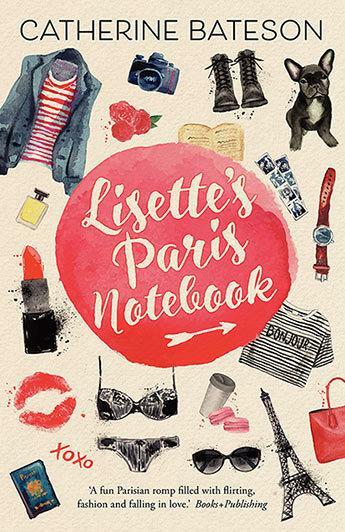 Lisette is a young woman coming of age, trying to understand what life is all about and to make sense of her past. Paris, as a setting, can only be magical, adding an extra touch of romance to your classic young-adult love story. Bateson’s characters are realistic and relatable and while any true romance has a touch of the unrealistic to it, the reader will be swept away, hoping for the best. This is one for both females and males who enjoy a good romantic story and are aged 13 and up.